With Dereck Chisora topping the list of opponents for Dillian Whyte’s December 22nd return, Joseph Parker’s promoter is wondering why not a rematch from their decision showdown in July. With a Chisora-Whyte battle all but confirmed for the O2 on December 22nd, David Higgins feels Whyte and his team were afraid of running it back against Parker. “It’s interesting that he didn’t mention Joseph Parker’s name,” Higgins told Sky Sports. “To me it says that they are running the other way, knowing that without officiating errors, Parker would have overcome and beaten him. While Higgins feels his man was shafted of an opportunity, he and Parker have pressed on for the former world champion’s first fight in Australia since 2017, taking on Alexander Flores on December 15th. “Do you know what? 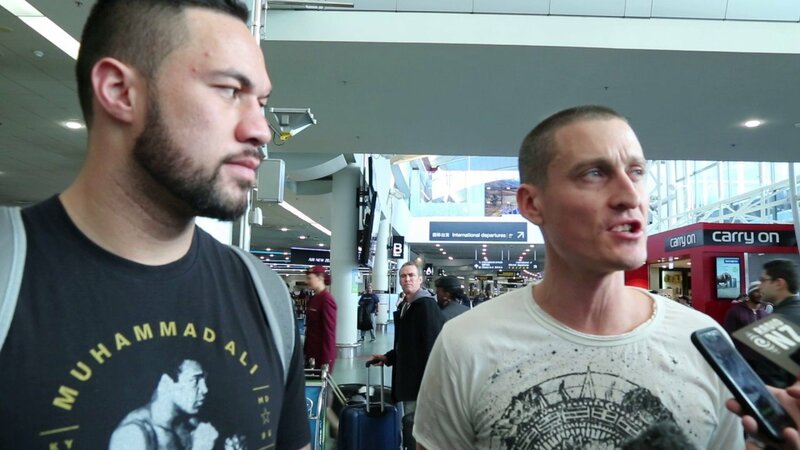 I do think Dillian Whyte does have some intelligence and dignity, so I don’t think he would shy away from proving that he can beat Joseph Parker decisively,” said Higgins. “If Anthony Joshua does end up fighting the winner of Fury-Wilder, then there would be some questions asked of Dillian Whyte. Does he want to set the record straight by going for a decisive victory against Parker? “It’s a public challenge to Dillian Whyte to admit that an error by British officials benefited him, and that he did not win decisively.